Last week I was in Baton Rouge, Louisiana, hanging out with blogger friends, the fabulous GO BR ladies, Christy and Katie and getting a tour of one of the best cities ever. I truly love Baton Rouge! 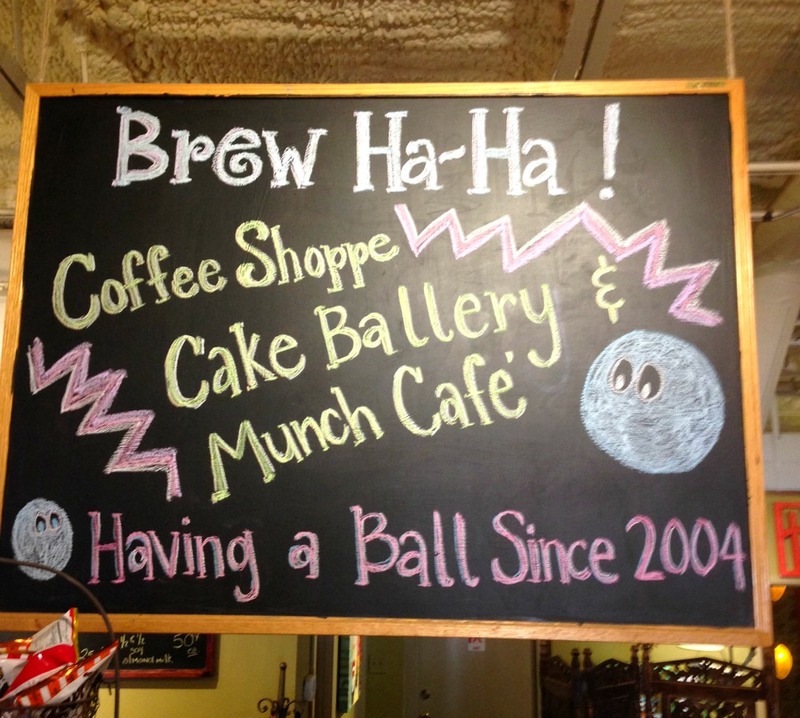 One of our stops was to a local coffee shop called Brew Ha Ha, that not only makes tasty lattes, but they are also known for there cake balls and now food menu. Everything is simply down home cooking, you know the kind Mom or Grandma make. Well, when I was there I had for the first time ever, biscuits and gravy. I’m not much of a gravy fan, but let me tell you, oh my gosh amazing. I would order this again and again! So darn good! I can’t believe I haven’t had this dish earlier in life. That’s just craziness! When I was there, I ordered the Hot Skillet that tasted mighty good, and it was served with a biscuit, that I smeared jam all over. I just love biscuits! I was inspired by my Brew Ha Ha biscuit and my first time ever trying biscuits and gravy, that I decided to make my own Southern Style Biscuits. I am not kidding you when I tell you this, but these are the best biscuits ever! They are light, fluffy and don’t fall apart when you eat them. I was truly impressed with myself when I took that first bite. 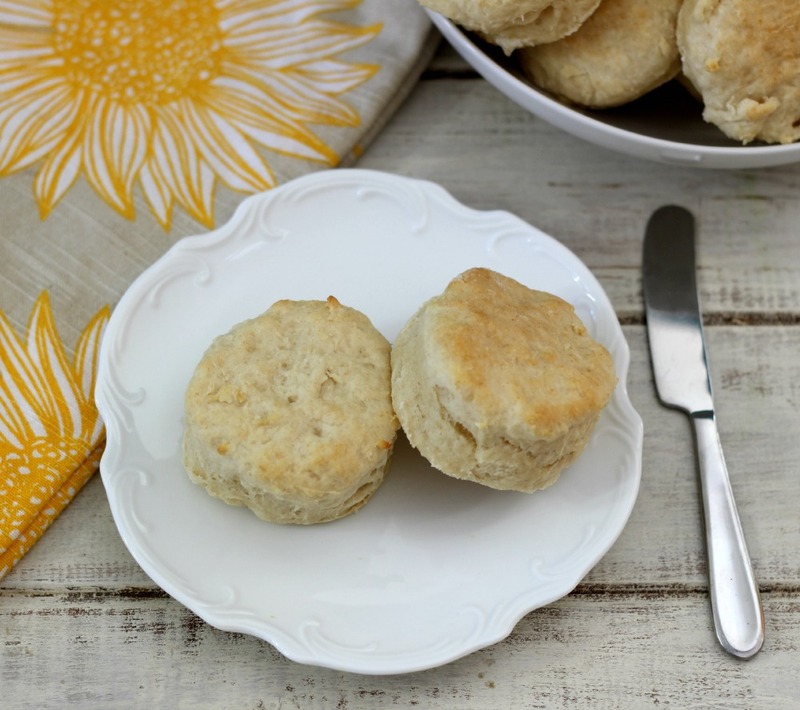 I love when you make something and it exceeds your expectations and this biscuit recipe did that for me! The recipe is so easy to make too! The recipe calls for buttermilk, but I didn’t have any on hand so I decided to make my own by taking one cup non-fat milk and 1 tsp. lemon juice and mixing it together. Not only did I save a trip to the store, but I also saved on calories. Once I mixed my batter together I flattened the dough out onto a floured surface and kneaded the dough. I used a glass to cut out the dough, since I didn’t have a 2″ cookie cutter. You can see a picture here. Then I placed them on a baking sheet. I lined my baking sheet with parchment paper, but it’s not really necessary. You can check the picture out here. The recipe should make 12 biscuits, but I got 17 of them. When I cut out the first batch of biscuits I don’t think I made the dough thick enough, but I did better on the second round. Either way your going to have a light, fluffy biscuit and the calories will still be low. You really can’t go wrong with this recipe. 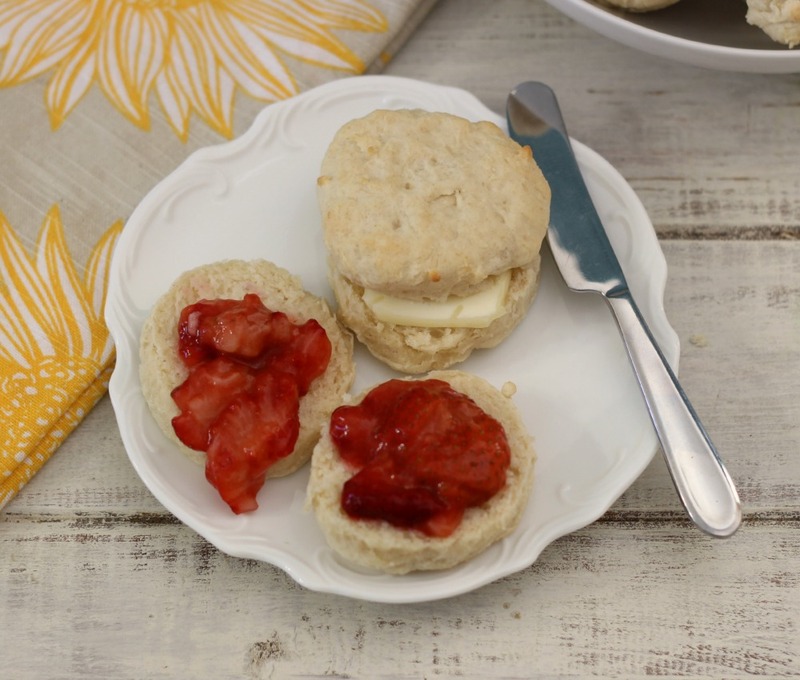 An easy, light, fluffy, low calorie biscuits that is perfect for topping with jam, butter and honey. Line a baking sheet with parchment paper; set a side. In a measuring cup add milk and lemon juice. Let it sit while putting the recipe together. In a large bowl, add flour, baking powder, baking soda and salt. Mix well. Add butter and shortening; with your fingers rub the butter and shortening together until mixture looks like crumbs. Make a well in the center of the bowl and add the milk mixture and stir just until combined. The batter will be sticky. Lightly flour work surface; place dough on surface and sprinkle with flour. Fold dough over 5 or 6 times, and flattened into a 1" round. With a 2" cookie cutter, cut out dough and place closley together on a baking sheet. Reform scrap dough, working it as little as possible and continue cutting. Bake in oven for 10 - 12 minutes, until lightly golden on top. Yummy, I just love my biscuits and a matter of fact, I’m eating one right now. Since I had so many biscuits, I froze some of them. I hope they turn out just as good when defrosted? Next time you’re in Baton Rouge, check out Brew Ha Ha you can go here. Here is some more information on Baton Rouge. I’ll be sure to share more of my trip with you in the coming weeks. Wow how perfect do these biscuits look? Amazing! Always happy to see our beloved south represented on your site! I learned to bake at the knee of my Georgia mountains Grandmama and I wanted to share a couple of tips. 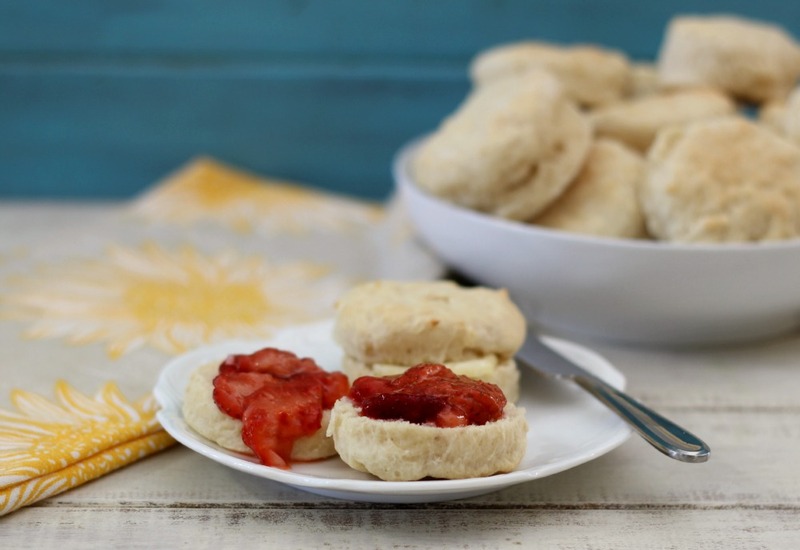 I’ve been making buttermilk biscuits for about 40 years now and there are a couple of secrets. First, you want to use a soft winter wheat if you can find it. 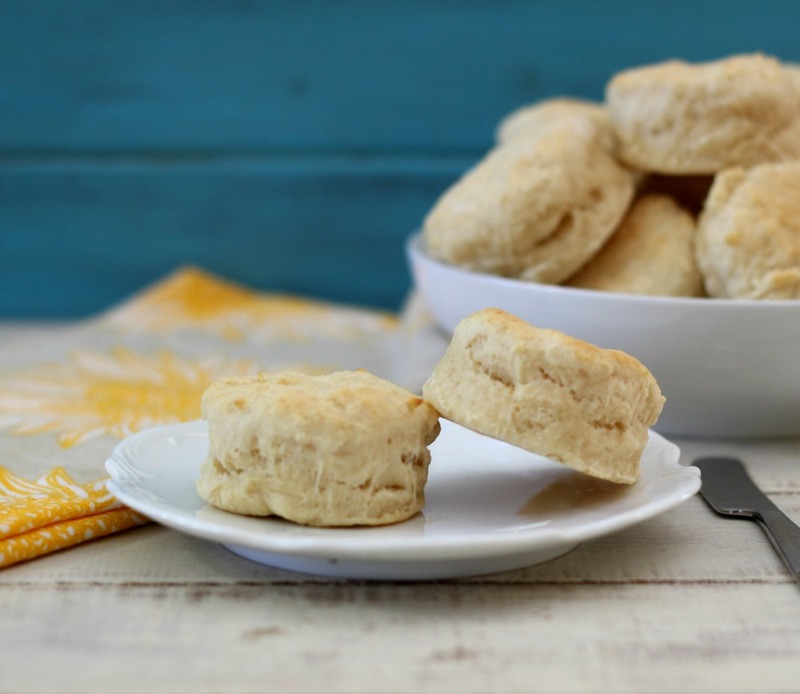 White Lily brand will make a very tender biscuit with less gluten and less protein.White Lily can be hard to find out of the southeast. And bake your biscuits in a very hot oven, preferably at 500 degrees. Don’t over-mix, just enough to wet the dry ingredients. 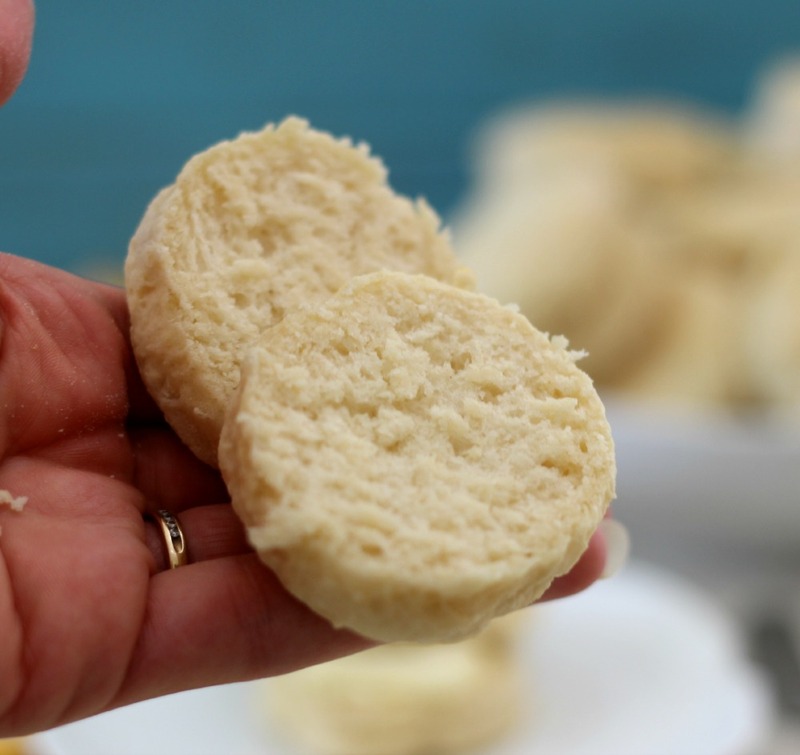 Surprisingly, the very best biscuit I have made was with coconut oil! I use it just like I would crisco or butter, a nice big 1/4 cup glob not really measured but seriously scooped. 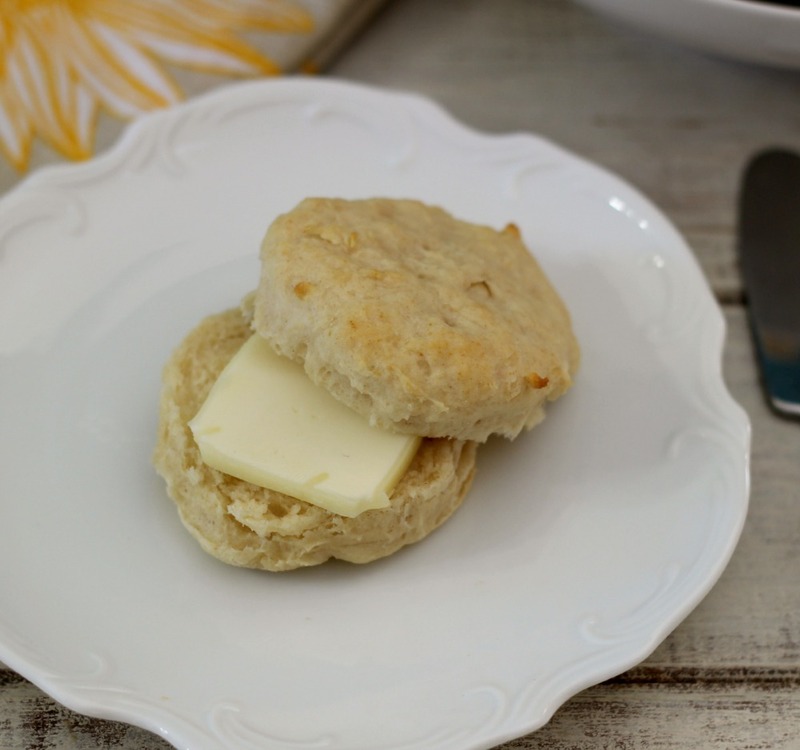 The biscuit is so tender on the inside and slightly crispy on the outside. I never use anything else now. Love that sausage and gravy over buttermilk biscuits! Brown some lowfat sage sausage, sprinkle a handful of flour and stir in a can of evaporated skim milk. Voila! 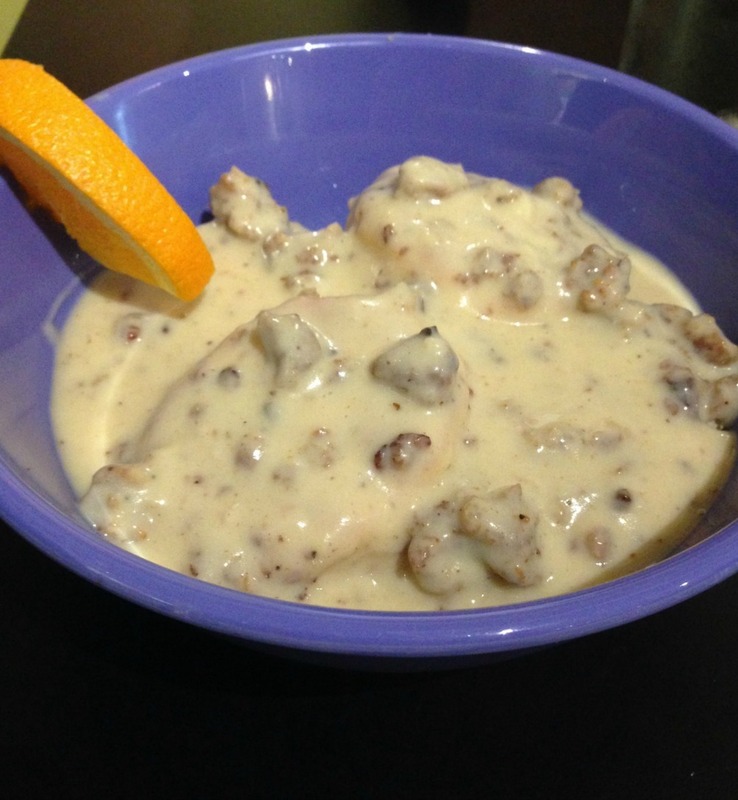 Healthy (somewhat) sausage and gravy! Enjoy your blog and I intend to make many of your recipes!